IT SEEMS hard to believe it is now half a century since steam operations ceased on British Railway’s Southern Region. 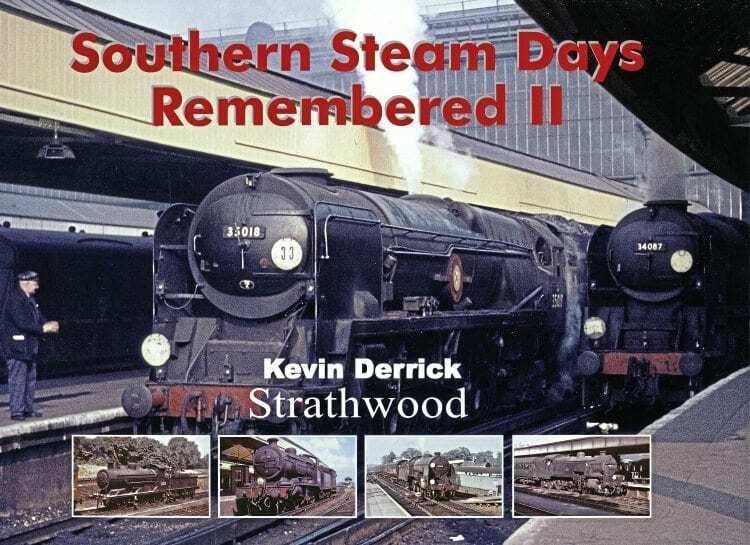 This lavishly produced limited edition photographic album (1000 copies) by Strathwood Publishing features a wealth of excellent colour images depicting the Southern Region from the late 1940s through to the end of SR steam. It is also a real treat to see such good-quality material reproduced in a large A4+-sized landscape format volume. The author Kevin Derrick has assembled a fascinating variety of images to reflect the varied locomotive classes and main areas of Southern Region where they operated. In addition to images by named photographers, extensive use has been made of the archives of Colour Rail, Rail Photoprints and the Strathwood Library Collection. The volume has an introduction by the author’s friend Roger Carrell, which recounts a typical small-hours, night-time journey in the late autumn of 1963. As a fireman he worked the 2.40am Basingstoke-Feltham Yard Goods with BR 5MT 73082 and the return parcels duty via Clapham Junction with BR 9F 92231 – this is a revealing account of workaday steam-age railway operations. It is hard to single out particular features of such an excellent book, but the sections on ‘Isle of Wight Memories’ and ‘Let it Snow, Let it Snow’ are special highlights. 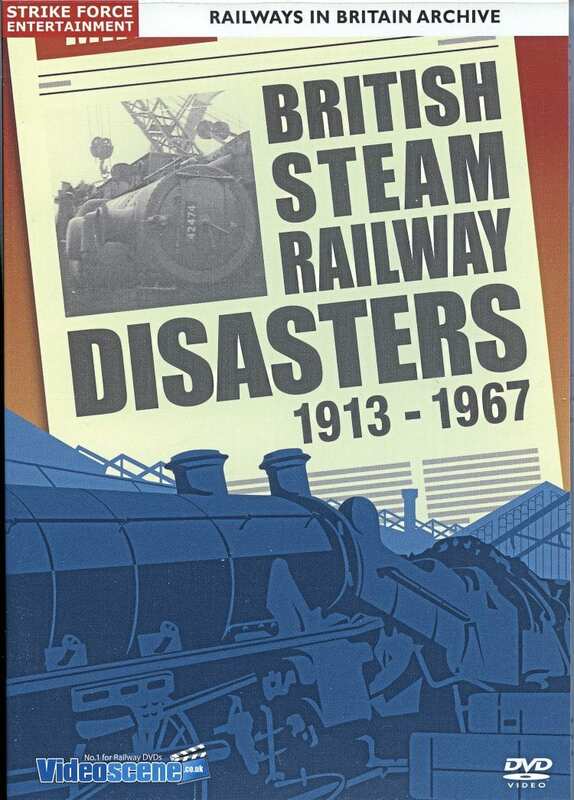 THIS is an extraordinary and valuable DVD featuring 79 minutes of black & white archive footage covering major rail accidents during the period 1913-1967. The source of the material is British News Reel and ITN News reports. No fewer than 55 incidents are featured, including a major 15-minute analysis of the horrendous 1952 multiple crash at Harrow and Wealdstone – rare footage includes much previously unseen material from film rushes. Other major accidents covered include Darlington (1928), Bourne End (1945), South Croydon (1947), Lewisham (1957) and Hither Green (1967). Throughout it is evident the style of news commentary evolved, from the melodramatic early reporting over lurid background music, with the emphasis on the heroism and sacrifice of the rescuers, to the more informative neutral coverage in later accidents. Accidents are grouped under eight common causes. For each incident the informative film commentary explains the particular circumstances. These include driver error, excessive speed, poor visibility, SPADS, track defects, rolling stock instability, road vehicle collisions, and equipment failures. What a difference the introduction of steel-bodied coaches and buckeye coupling made to passenger safety. It is from the painful experience of these accidents the modern safety culture on our railways developed. 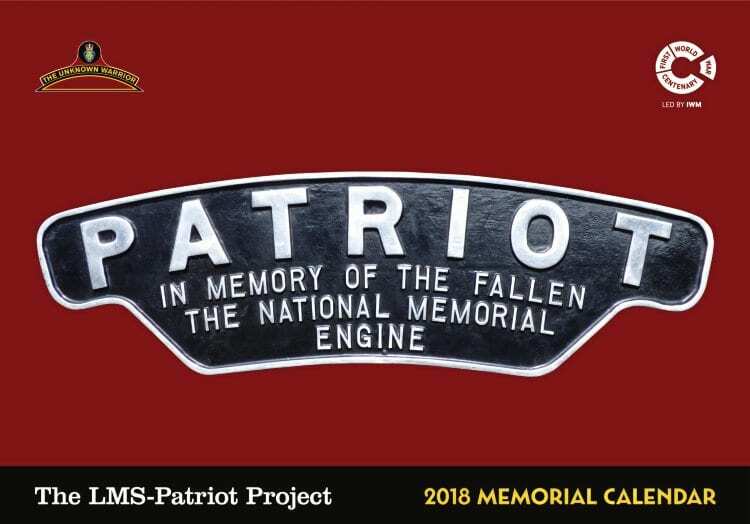 ONCE again the LMS-Patriot Project has put together a high-quality calender for the coming year as a fund-raising tool for its project to build Fowler ‘Patriot’ 4-6-0 No. 5551 The Unknown Warrior. The calendar is set in landscape format and contains 12 paintings of ‘Patriot’ locomotives at work from well-known railway artists, including Barry Price, Craig Tiley, John Austin and Roger Markland. As in previous years the scenes featured cover the full working careers of the class, from Crimson Lake-liveried No. 5514 Holyhead at Mallerstang, to BR green No. 45510 on the turntable at Camden. Additionally, each monthly spread features a photograph and description of different railway company war memorials. while others, including the North Staffordshire Railway memorial in Stoke-on-Trent, are less so. Space for dates and notes is provided in two columns beneath each painting, and on either side of the memorial images. The calendar is printed on good quality paper, and retails at £10.00 plus £2 for postage. 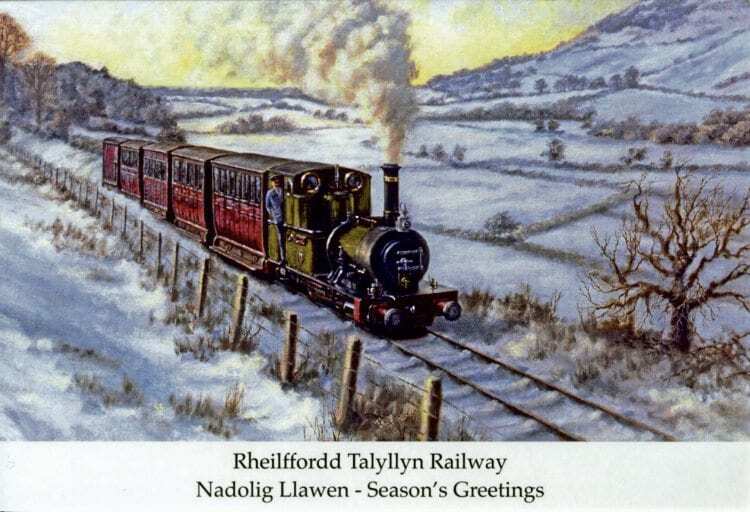 THE Talyllyn Railway’s Christmas card for 2017 is a painting of No. 2 Dolgoch with a 1866 train in the snow on an upper section of the line. With ‘Best Wishes for Christmas and the New Year’ in English and Welsh, a pack of 10 cards retails at £4.75, plus £2.50 p&p. If ordered with a calendar (see elsewhere in this section), postage combined is £2.50. Available from The Railway Shop, Talyllyn Railway, Wharf Station, Tywyn, Gwynedd LL36 9EY, or call 01654 711012 for debit/credit card sales. Find more ideas for Christmas gifts in November’s issue of The RM – on sale now!